The "solar events" caused brief blackouts in high frequency communications when they struck, twice on Tuesday morning and once this morning, all between the hours of 7 a.m. and 9 a.m. EDT. 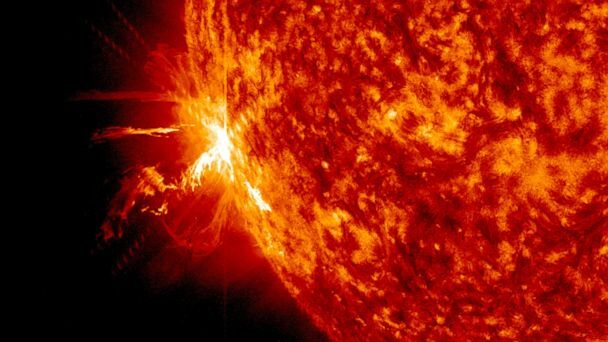 Solar flares are bursts of radiation on the sun's surface. The disturbance to Earth's atmosphere can disrupt GPS and communications signals, according to NASA. 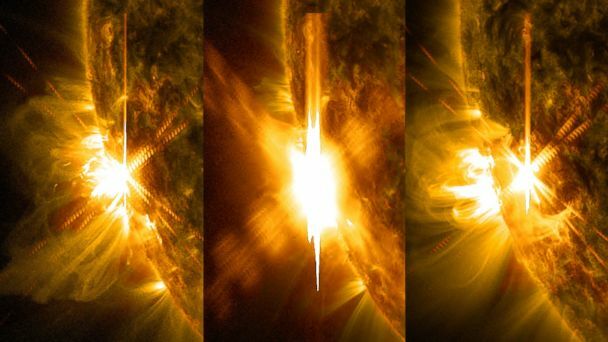 One of the flares created a "coronal mass ejection" that actually could come into contact with Earth on Friday, according to NOAA. The ejection is essentially a huge cloud of plasma that could hit the Earth and cause a shock wave, affecting communications systems. If an ejection were to hit Earth on Friday, scientists expect it would only cause a minor geo-magnetic storm, according to NOAA.